TZ announces the introduction of our new virtual Monitoring Centre service – vMC – for our hosted services customers. The vMC service provides 24/7/365 automated remote monitoring of servers and locker systems to provide early detection of hardware and software issues that may affect the performance of a TZ locker solution. vMC is operated by our global Applications and Systems teams from different offices around the world providing extended hours of support and the specialist skills necessary to remotely resolve issues before they become major incidents. Using a series of commercial remote monitoring and management tools combined with advanced TZ system diagnostics the vMC service automatically monitors hardware and software to alert to potential issues. The vMC team can then remotely run diagnostics to in many cases resolve an issue early; or if need be arrange to dispatch a technician to effect field repairs. 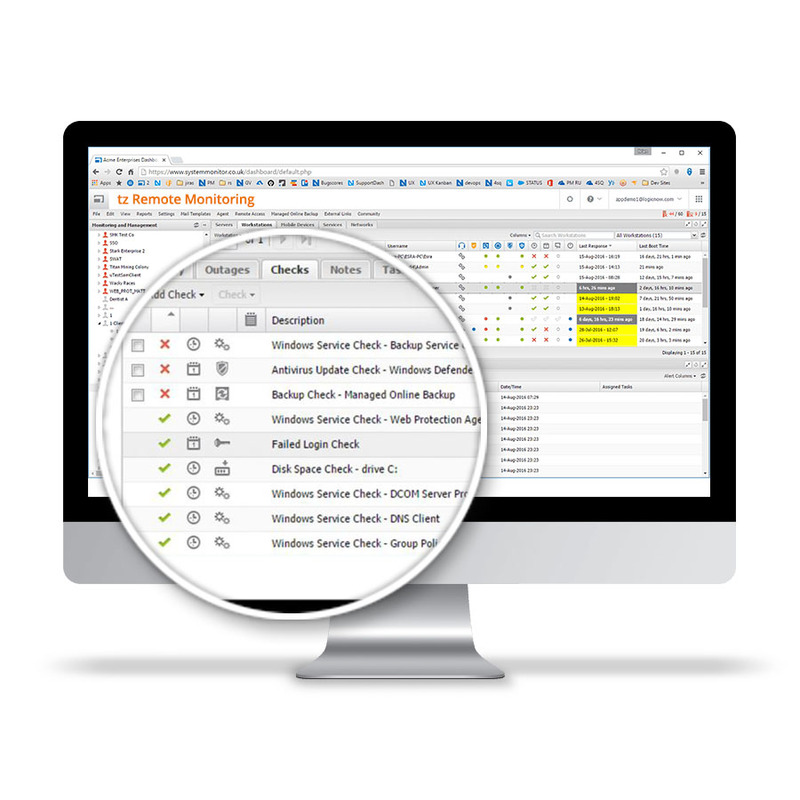 The current status of all elements of a system from hosted servers in a data centre to lockers banks in the field can provided to authorised personnel as reports and as a dashboard. vMC is a standard part of managing the virtualised servers in our hosted offerings and is available as an option for deployment to locker systems installed in the field. For more information please contact one of our regional offices.